Sharing Risk Can Help Tame The Cost Of Infertility Treatment : Shots - Health News Although some insurance plans are expanding coverage for infertility treatments, most coverage remains skimpy. Shared-risk programs can help couples gain some measure of control. Infertility treatment is a numbers game in some respects: How many treatments will it take to conceive a child? And how much can you afford? Even as insurance plans are modestly improving their coverage of such treatments, clinics and others are coming up with creative ways to cover the costs to help would-be parents reduce their risk for procedures that can run tens of thousands of dollars. Some even offer a money-back guarantee if patients don't conceive, while one online program lets people pool some funding. Shady Grove Fertility, a large center with sites in Maryland, eastern Pennsylvania and Washington, D.C., has a number of options to help people afford infertility treatment. The center pioneered a "shared-risk" program for in vitro fertilization (IVF) treatment years ago that offered a 100 percent refund if a couple didn't have a baby. 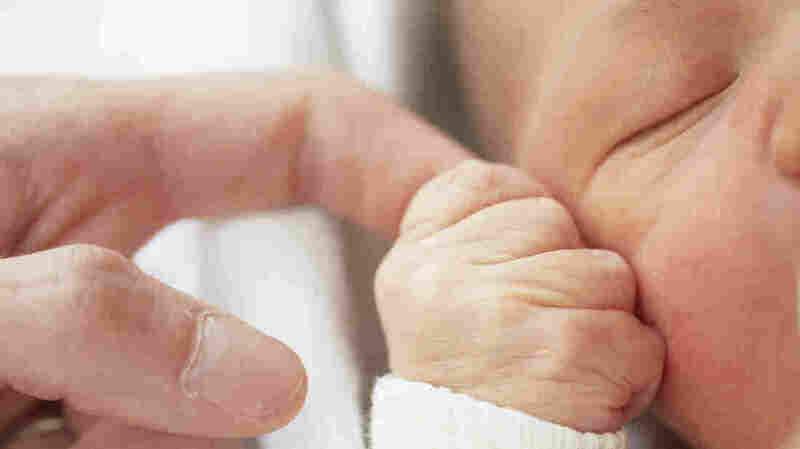 Now the center offers a similar option for couples who use donor eggs to conceive. Other fertility centers offer their own versions. Both Shady Grove shared-risk programs allow couples to try up to six cycles of IVF or donor eggs for a flat fee. If they don't have a baby, they get the full amount back; couples can also stop at any point in the process and get a full refund. The program costs twice as much as a single cycle — $20,000 for shared-risk IVF and $30,000 for shared-risk egg donor. "In reality, patients who get a baby on the first cycle are subsidizing those who don't get a baby," says Michael Levy, president and IVF director at Shady Grove. "We see this as an opportunity to give patients security regarding the financial risk that they face." The payout to those who didn't become pregnant was $1,800. Shared-risk and other financing options are popular in part because health insurance coverage for infertility treatment, while slowly improving, is still sparse. Fifteen states require insurers to cover infertility treatment to varying degrees, according to Resolve, an infertility advocacy group. Among employers with more than 500 workers, 65 percent cover a specialist evaluation, 41 percent cover drug therapy, and 27 percent cover in vitro fertilization, according to human resources consultant Mercer's 2013 employer benefits survey. Thirty-two percent of large companies don't cover infertility services at all. There are other ways to manage the cost of infertility treatment. In addition to shared-risk programs, many fertility clinics offer other discounts and financing options to help couples afford treatment. Other companies also offer financing and/or infertility insurance to help cover the costs for couples who are working with a surrogate to have a baby, for example, or for IVF treatments. Glow is one of the most recent companies to help address the financial uncertainties around infertility and treatment. The company, which is best known for an app that helps women track ovulation and other pregnancy-related health data, started Glow First last August for couples worried about infertility. Participants pay $50 monthly for up to 10 months. The money is pooled with contributions from people who also entered the pool that month. At the end of 10 months, those who haven't become pregnant split the pot of money; Glow will pay their share to an accredited infertility clinic once they submit their bills for fertility testing or other services. The company does not take a cut, according to the Glow website, but there are no refunds for participants who change their minds. The first group that began contributing in October 2013 has just ended. Roughly 50 people participated, according to the company. The payout to those who didn't become pregnant was $1,800. "This relatively minimal contribution will help to offset those downstream and very high costs" of fertility testing and treatment, says Jennifer Tye, Glow's head of marketing and partnerships.